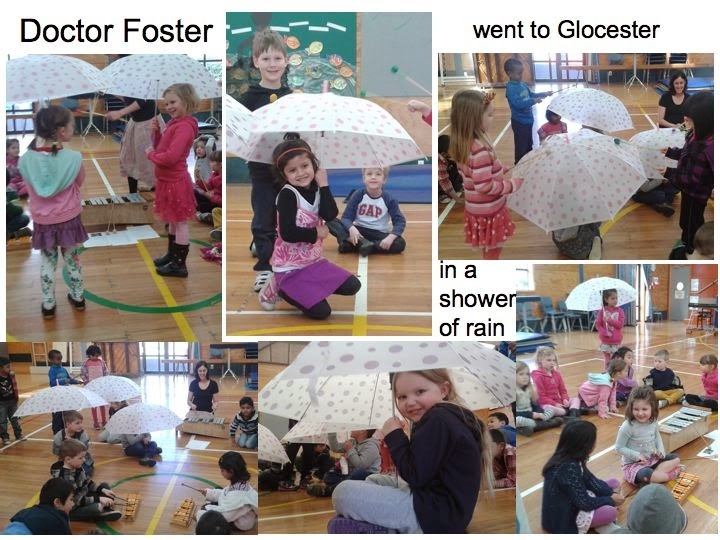 I have had a wonderful time with the juniors this term exploring and discovering the elements of music through listening, singing, dancing, musical games, and percussion play. 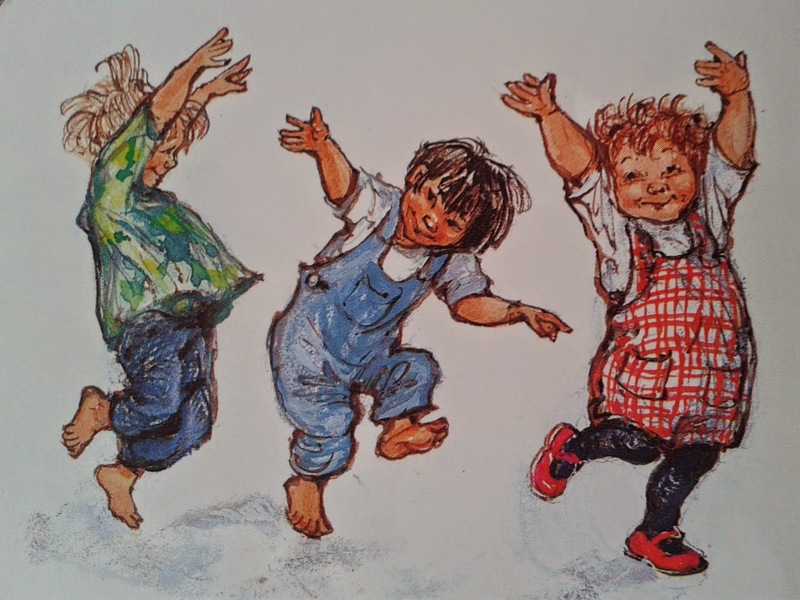 We have been building a rich repertoire of songs that we can sing confidently and a number of simple partner and circle dances, games, and clapping/body percussion pieces. Some of our favourites include: Sally Go Round the Sun, We Say Hello, A Let a Go Go, I Wanna be a Friend of Yours, Old King Glory, and Johnny Brown. We are learning there are many different styles of music in the world and they all make us want to move in different ways. 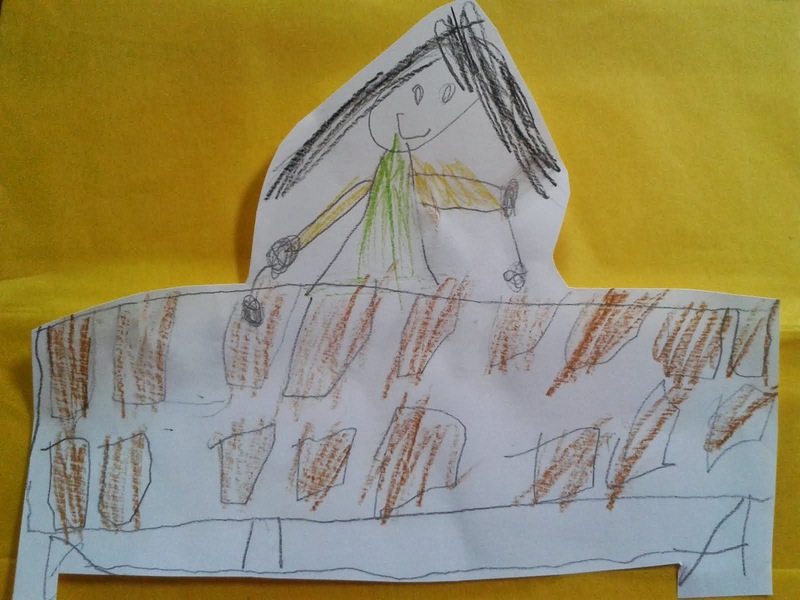 We are also learning that there are always stories behind the songs and music about the people and places they come from. 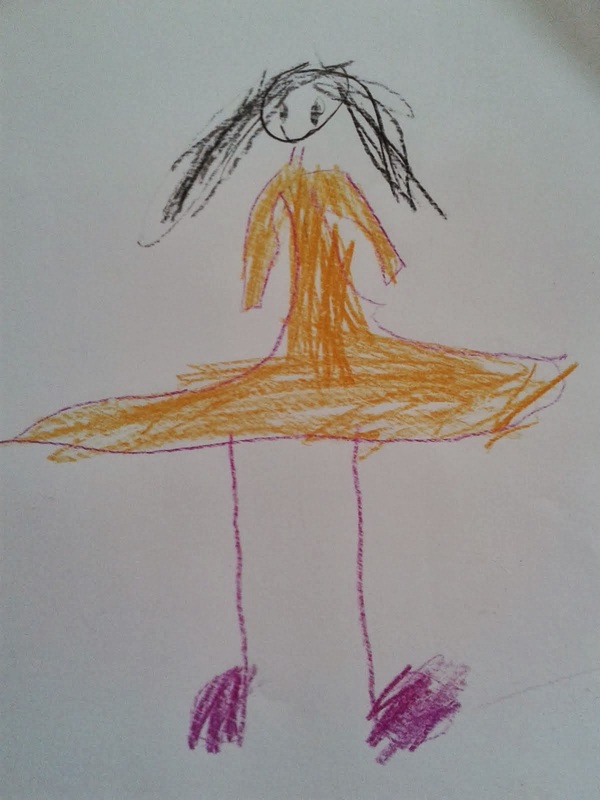 We have had lots of fun with poems like Davy Davy Dumpling, African chants like Bala Pata Zum and Awa, and nonsense rhymes like Tamminy Mamminy Ma. We have clapped and patted the rhythms of words and then tried the patterns on different percussion instruments. We have used the word play to explore different rhythms and contrasts in tempo ie. fast and slow and dynamics ie. loud and soft. 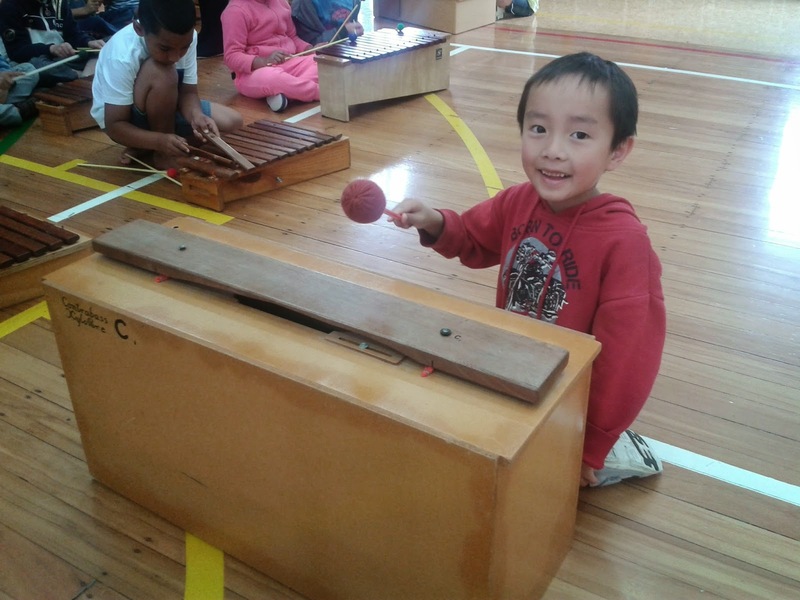 We have talked about how our voices are the first instrument we learn to use and how we all have one of these we can use to make music anywhere and anytime. Singing as a group is fun and makes us feel good. 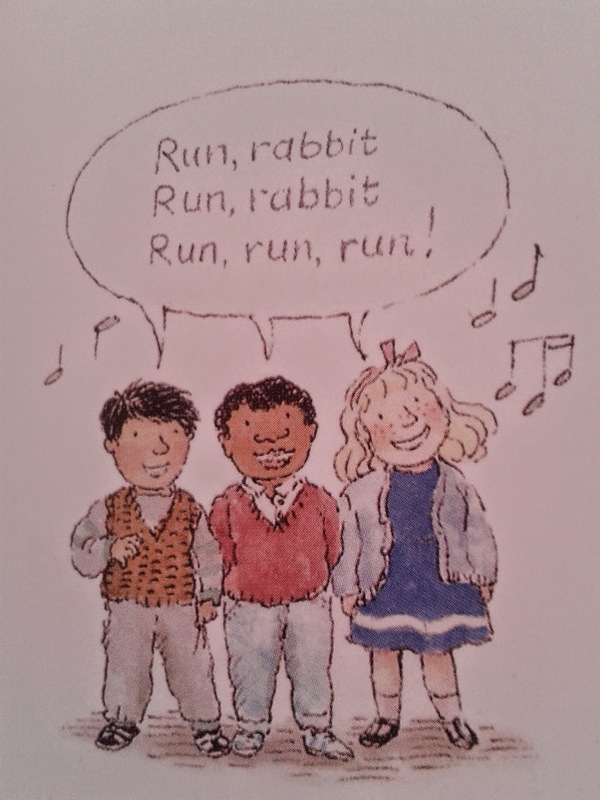 (From ‘Play, Sing, and Dance’ by Doug Goodkin, p.31). 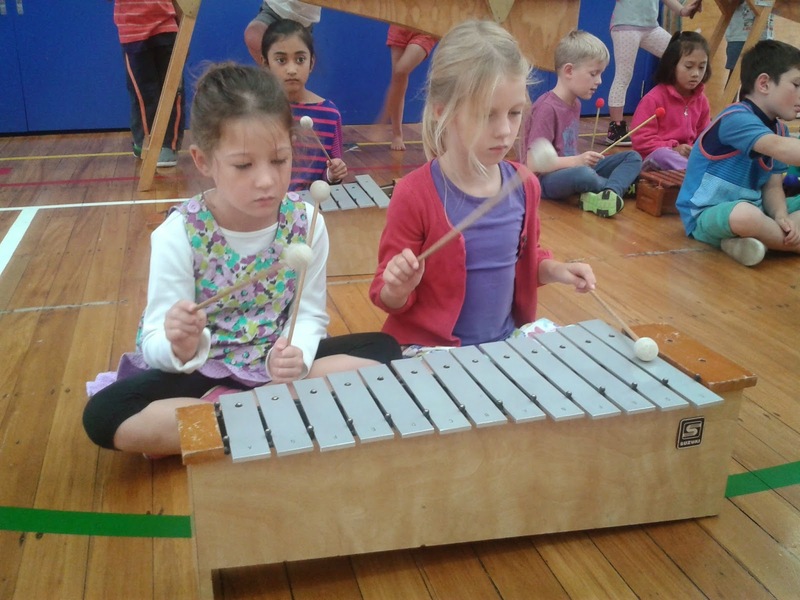 In the last few weeks of the term we have also started getting to know the instruments in our Orff Orchestra. 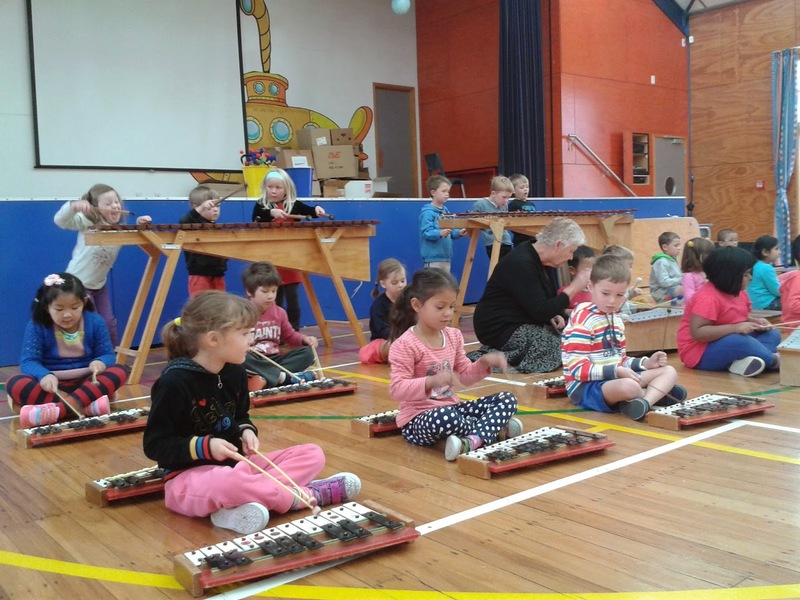 We are very lucky at Eastern Hutt School to have the chance to play in an Orff Orchestra that has marimba, xylophones, metallaphones, glockenspiels, and even a contrabass C. We have been learning about scales, the musical alphabet and how to find some of the different notes. 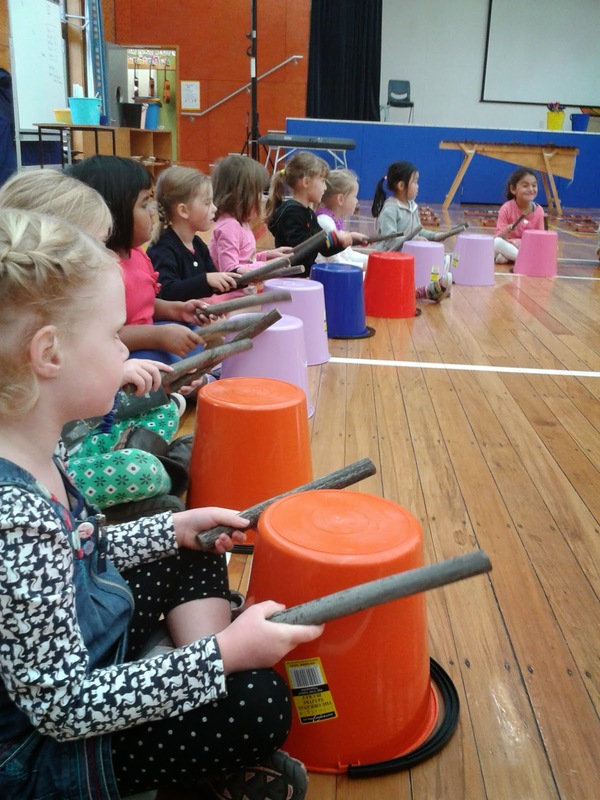 We have been learning how to hold our beaters and play the instruments with them.